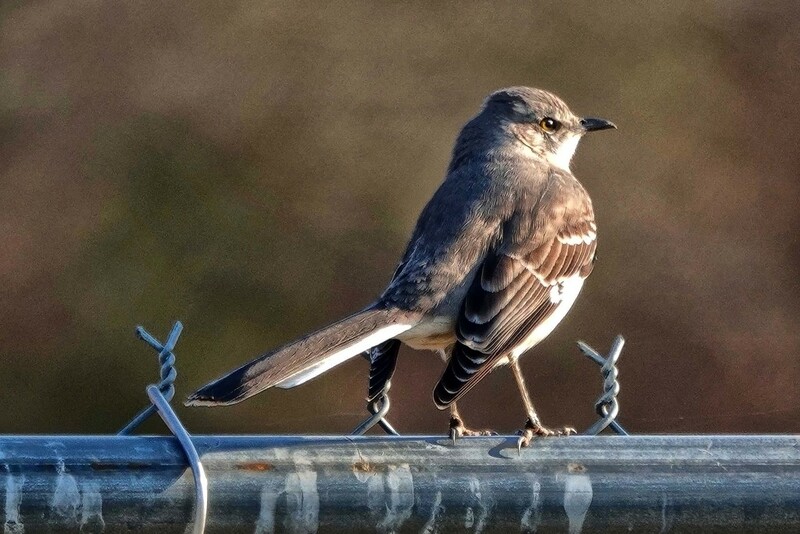 Thought I was going to be totally skunked today - 6 miles and nothing to show for it (did see one hawk - but at over 200 yards - not a good shot) and then this mockingbird landed on the fencing and sat still. I like the sun on him! Great closeup. Pretty bird and lovely light! Very nice shot. Seems like nice processing too. Lovely shot, well worth the 6 miles walk! Lovely capture, great details. His wings make him look as if he's wearing a tailcoat. Great lighting and what a pose!